“Never tell me the odds!” The odds are, however, in this adult Han Solo costume you'll look really good. 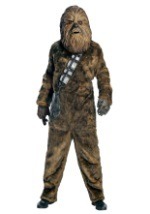 The Star Wars outfit features a cream shirt with a “V” shaped neckline and attached black vest, which tucks into navy pants with connected boot covers. You can embody everyone’s favorite rogue with this Han Solo costume. 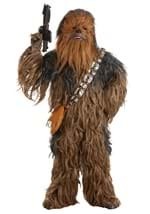 Pair this costume with our Han Solo blaster and a Princess Leia costume for a great couples costume!